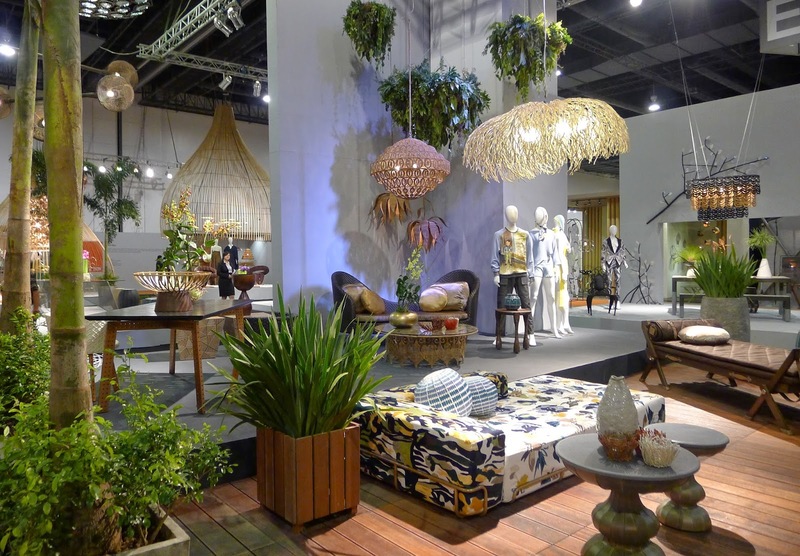 Nothing makes me more proud of my heritage than to see the beautiful, hand-crafted furniture every year at the Manila Fame show. I have been attending the shows for 6 years now, and the Manila Fame Event never fails to give me a surge of excitement each time the doors open to the exhibit halls. They have always made the designs beautiful, theatrical and bigger than life. Never settling for average or good enough designs. 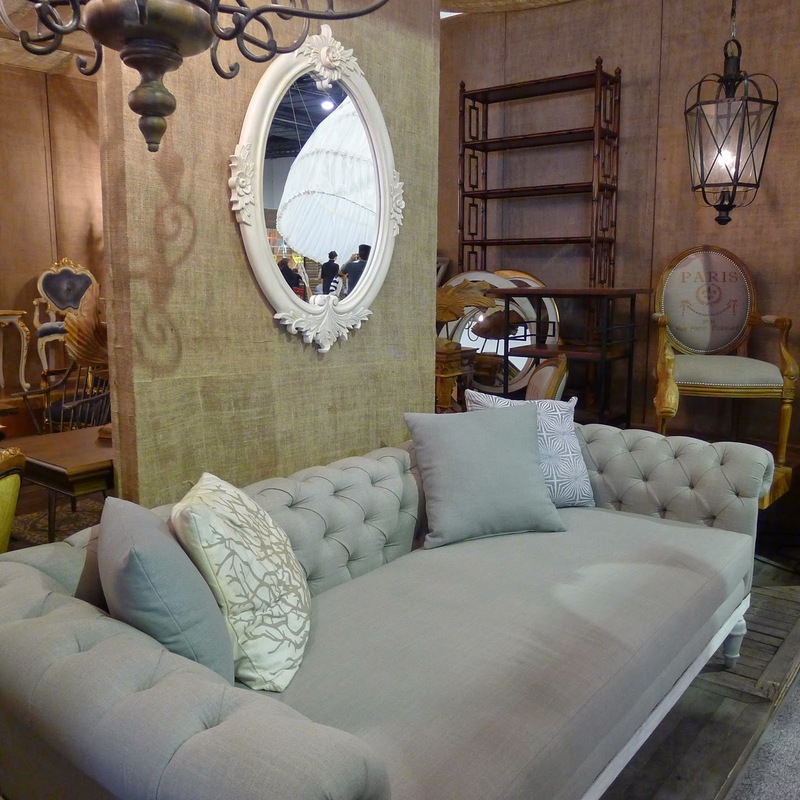 If you're looking for beautifully designed furniture and accent pieces for the home, this is the place you'd want to be twice a year every year. 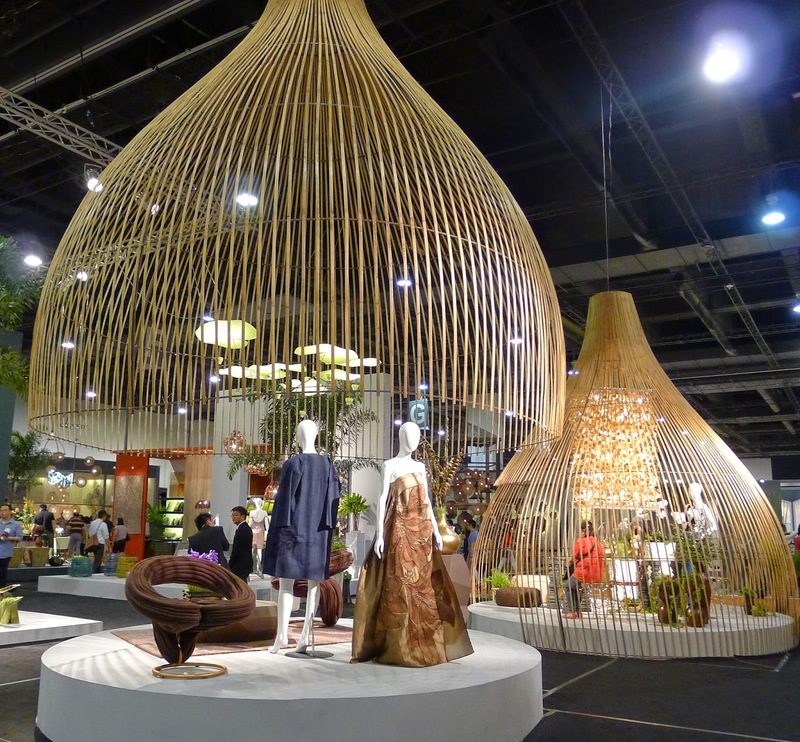 Manila Fame holds trade shows every March and October and is the best venue to do some serious furniture buying. 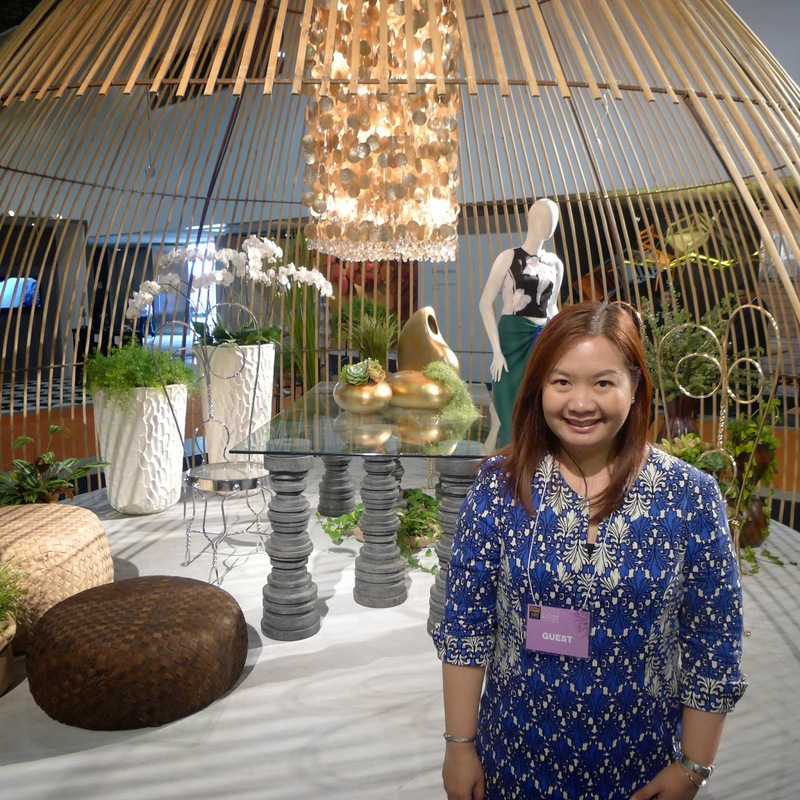 You'll see a lot of foreign buyers during the Manila Fame event too, this is because Philippine-made furniture are sought after in global markets. Doesn't that make you proud to be Filipino? Missed the show a week ago? 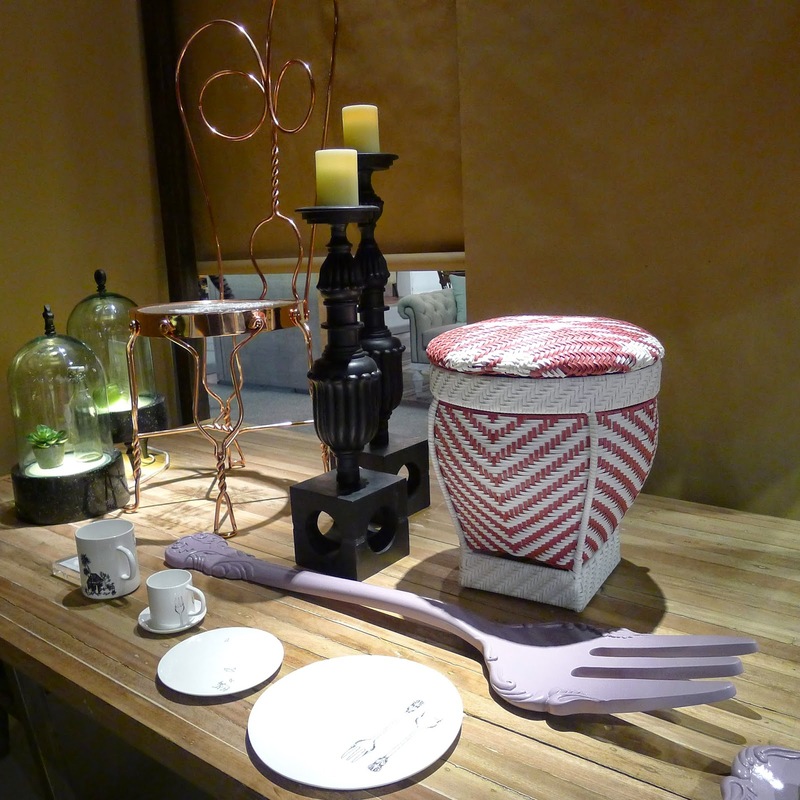 Let me share with you some photos during the October Manila Fame Design & Lifestyle Event. 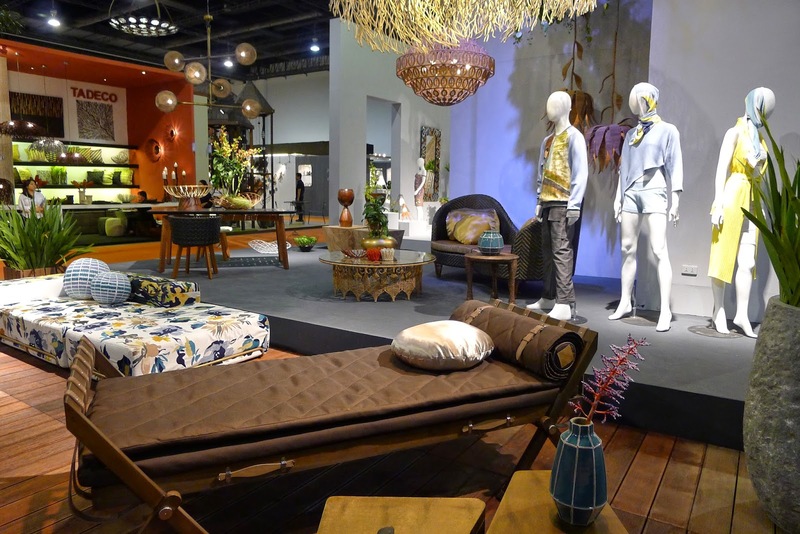 The Design Philippines scenography is under the creative direction of Budji Layug and gave life to three stories: Soulcrafts, Luxe and Gen C. Furniture and home accents on display featured the latest designs from a collection by designers Stanley Ruiz and Eric Paras with special participation of select brands of Design Philippines and Manila Wear. I have always admired beautiful tablescapes and how the drama of it all sets the mood for enjoying a good meal with great conversation. If you have been following my lifestyle blog long enough, you know that this is one of my favorite things to do at home. 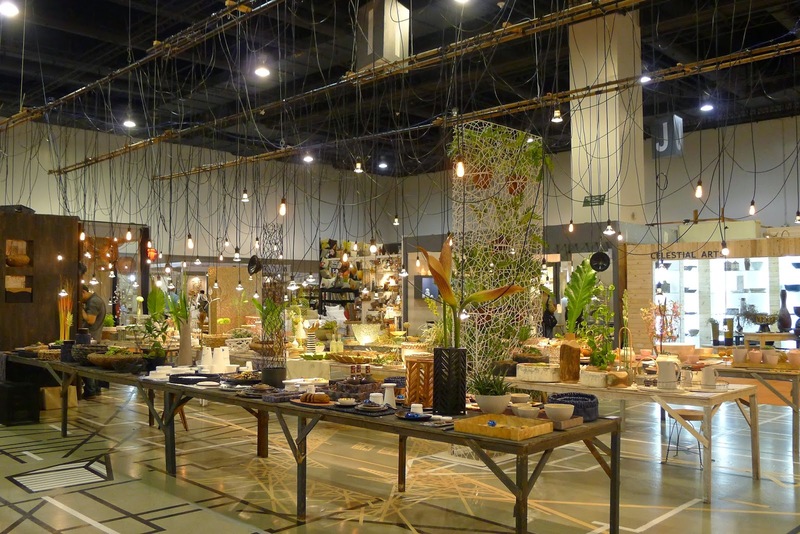 In the next photos you'll find three 13 meter long tables adorned with baskets and bowls, trays and centerpieces, tablecloths and placemats laid out in an extraordinary tablescape presentation by Detlef Klatt, a German master florist and designer. 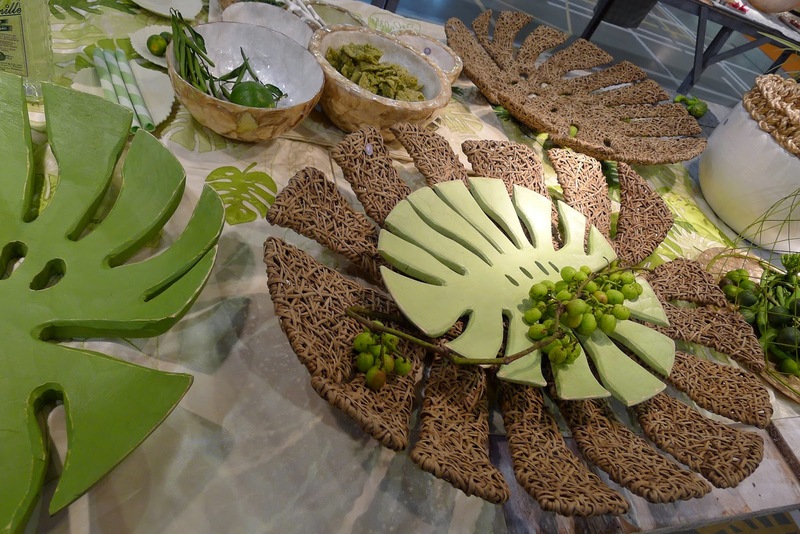 The presentation celebrates the art of dining in a ready to buy collection of table accessories developed in collaboration with local manufacturers who are experts in working with materials such as abaca (a plant fiber), ceramic, wood, metal, capiz, mother of pearl and other natural materials. 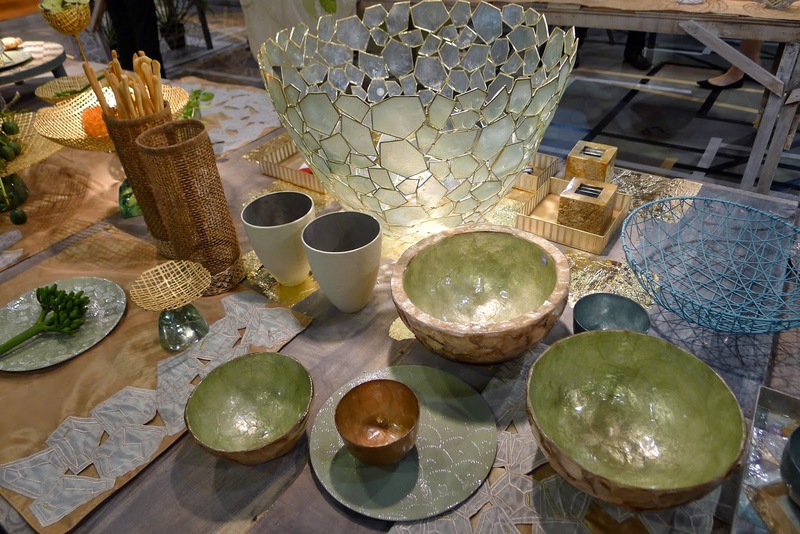 Of course, I just had to pass by Kenneth Cobonpue's booth. 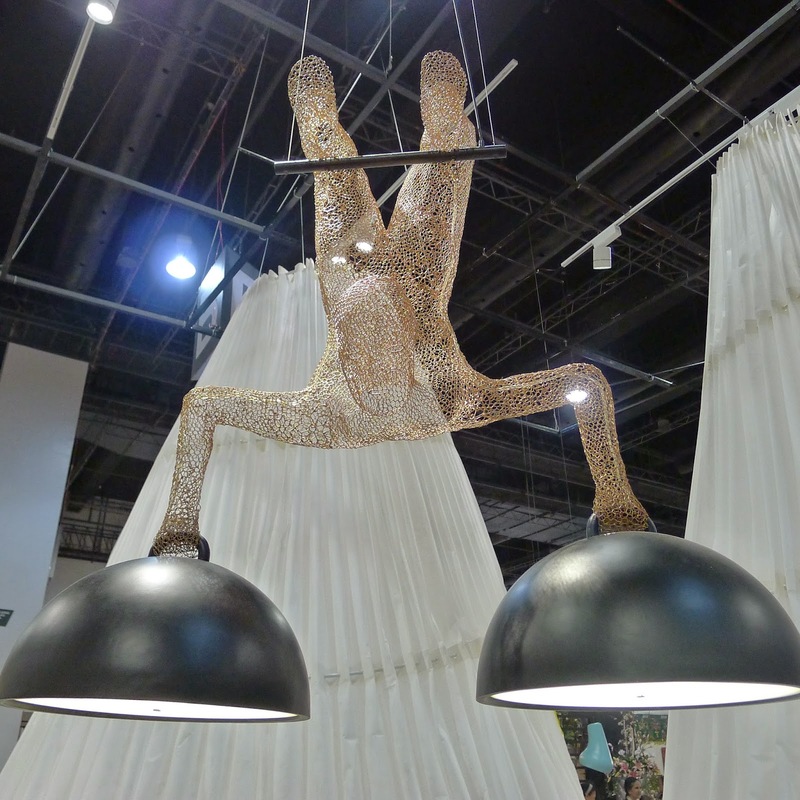 His creations are highlighted by these huge lampshade installations. I absolutely love his furniture, to me they are works of art and are instant conversation starters. 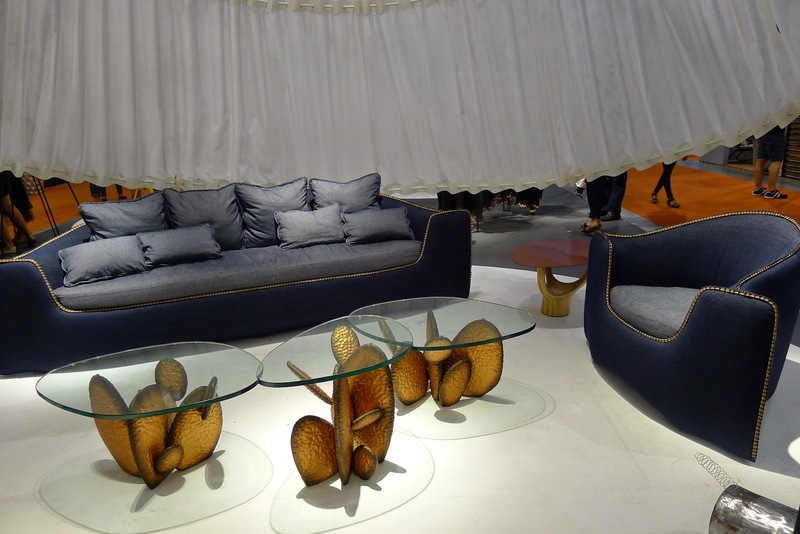 Also part of his latest collection are the Boat sofa, the Boat easy arm chair, the Gobi coffee table and the Gobi end table. 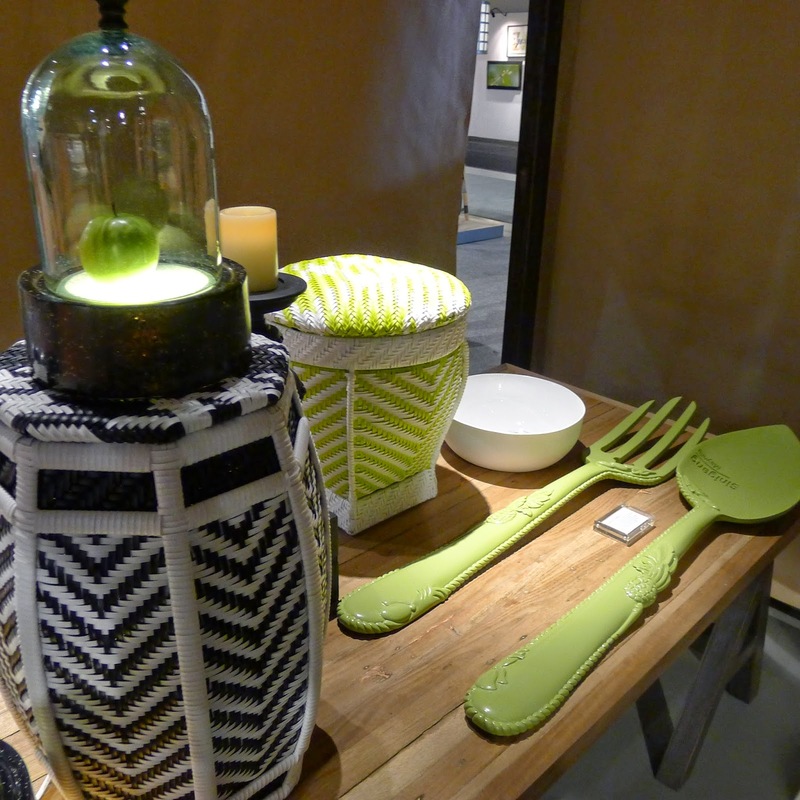 Ito Kish gives classic Filipino designs a modern twist! Tara Design specializes in textile production. They sell these beautiful 500 thread count Egyptian cotton sheets with exclusive prints or embroidery (average cost of a bed in a bag set is about Php 28,000). But these are not your ordinary sheets, the printing is of very good quality and the fabric is very soft. You just have to see and feel it for better appreciation. 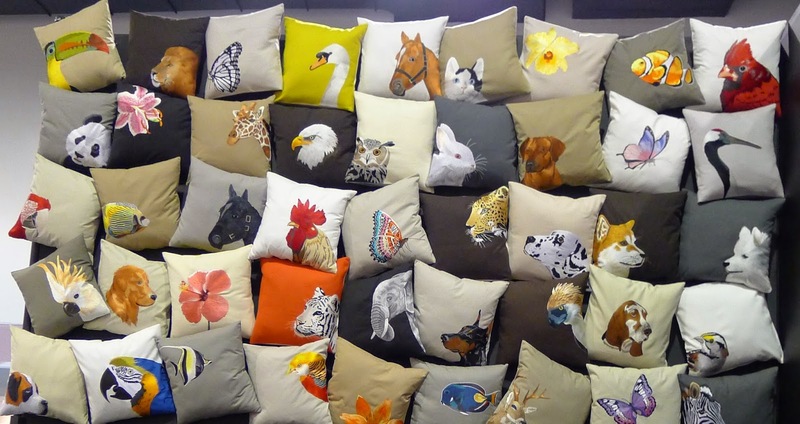 They also make these pillows with intricate embroidery. This year they are featuring several animal designs. 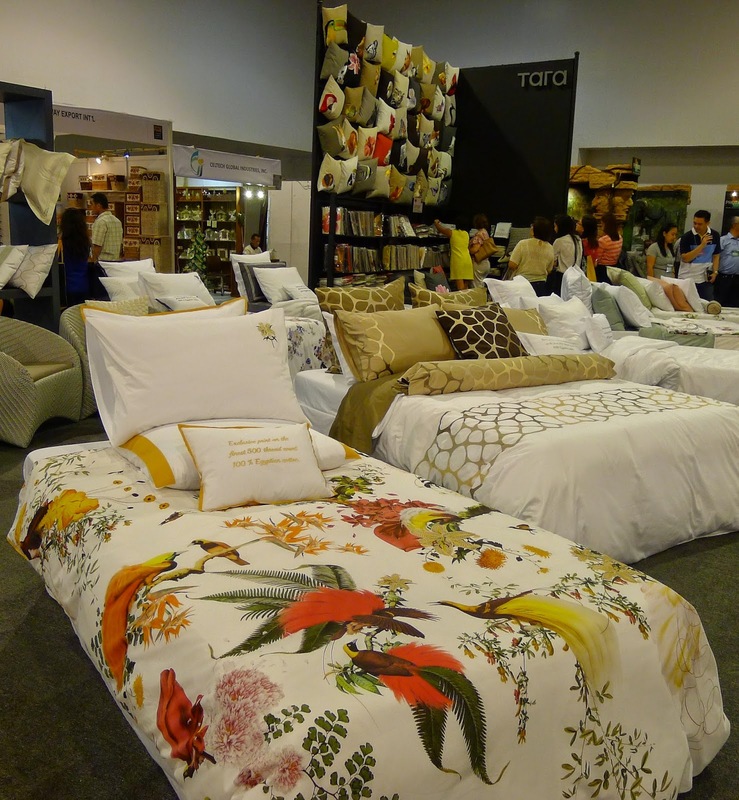 These pillows cost Php 1,500. 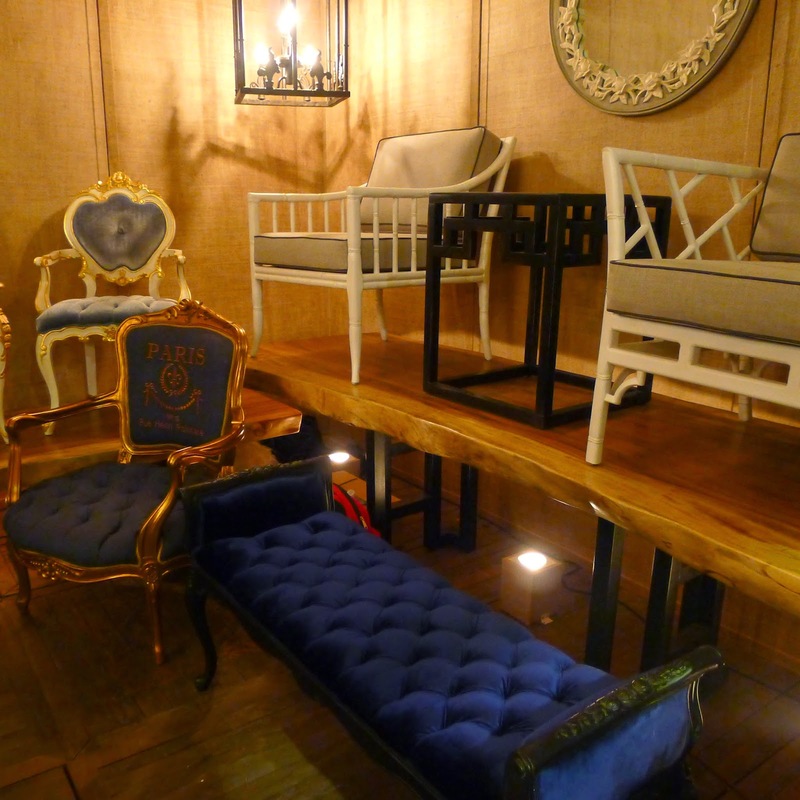 Prizmic & Brill is one of my favorite Pampanga-based furniture makers. 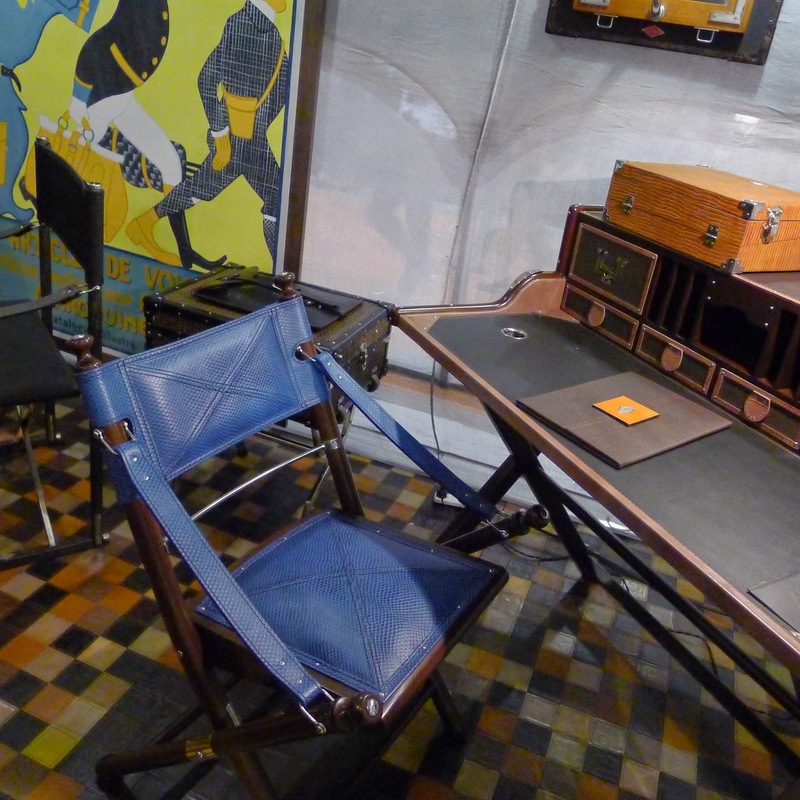 At the show, I was instantly drawn to the Campaign chair in blue which came in a new leather texture and that luggage/storage case on the side (with the legs). 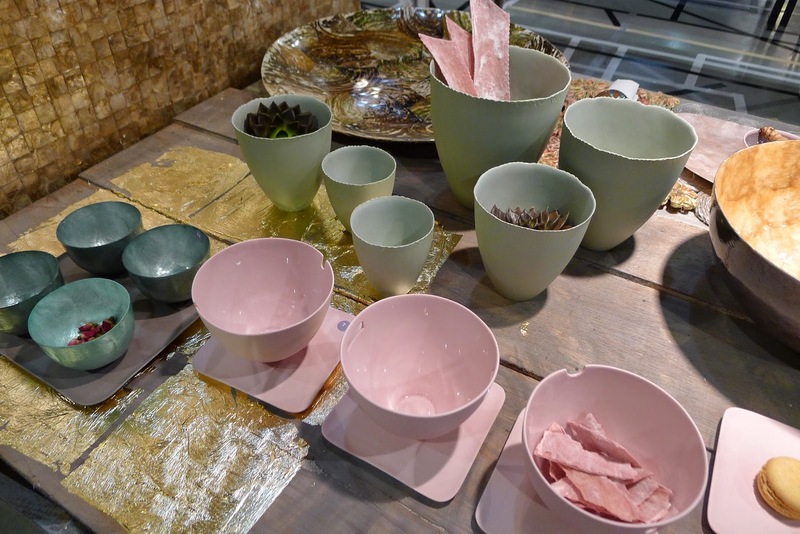 I also checked out the beautiful accent pieces at More Than A Chair's booth. 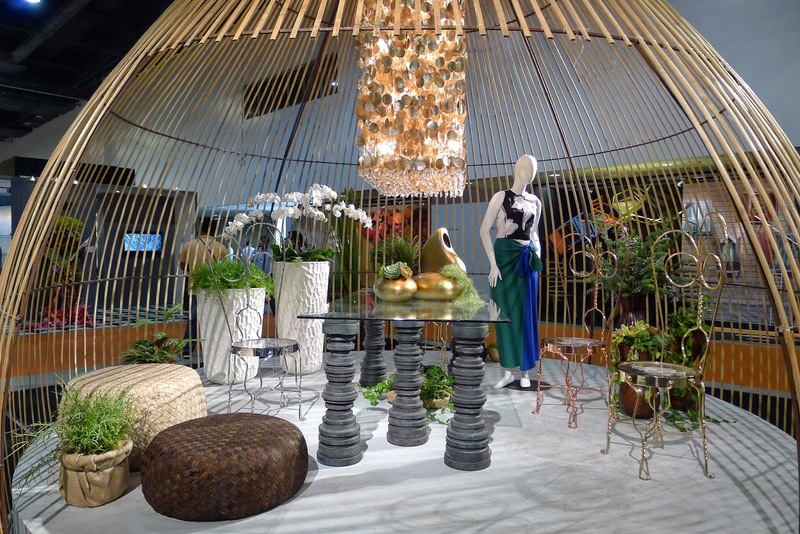 Currently, I am still dreaming about their Canopy chair from last March's Manila Fame event. We need one in the house. 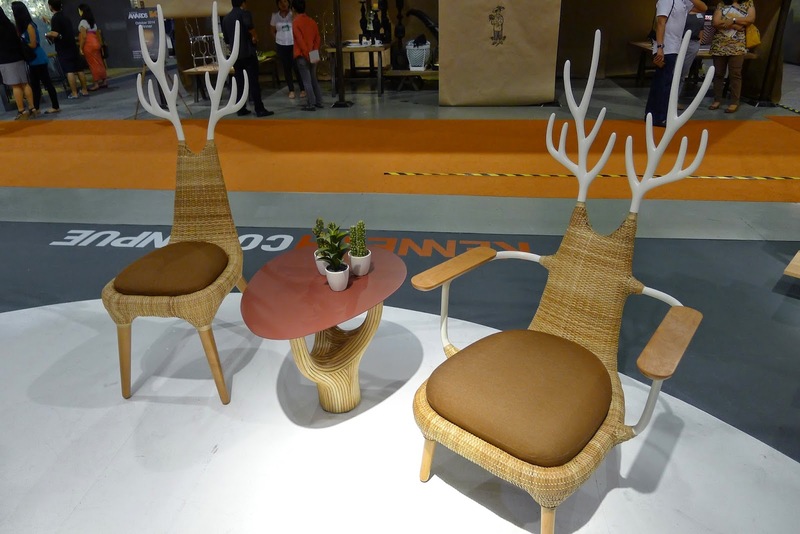 Now, this magnificent piece is from Pampanga-based furniture and home accesories maker, Maze. 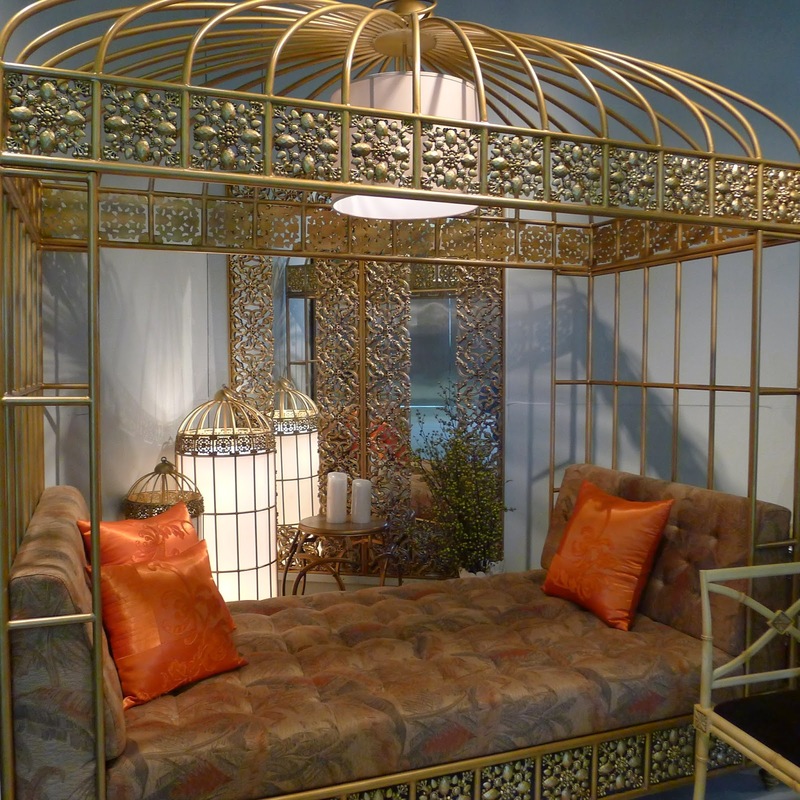 It's a daybed with a gilded cage design and with it's own lamp. I was admiring the piece when Judith Manarang, the President of Maze Manufacturing Co. arrived. It was my first time to meet Judith and I learned so much from her during our visit to Maze. We shared the same love for furniture design and while we were conversing, she asked one of her staff to get me a copy of her recently published magazine, named "One Pampanga". 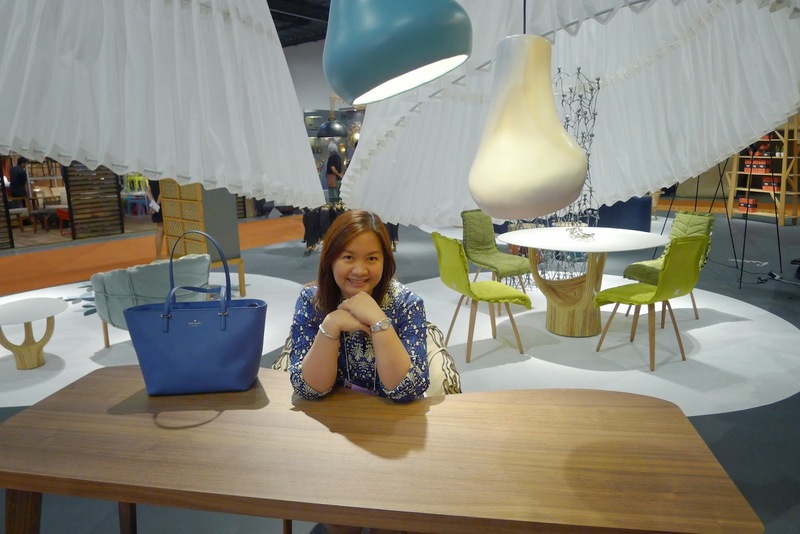 She flipped through the pages of the magazine and showed me the profiles of the top furniture makers in Pampanga. I am in awe in the abundance of talent and creativity in this particular place, North of Manila. Thank you so much Judith for giving me a copy of your "One Pampanga" magazine, I enjoy reading it! See you at the next 2015 Manila Fame!